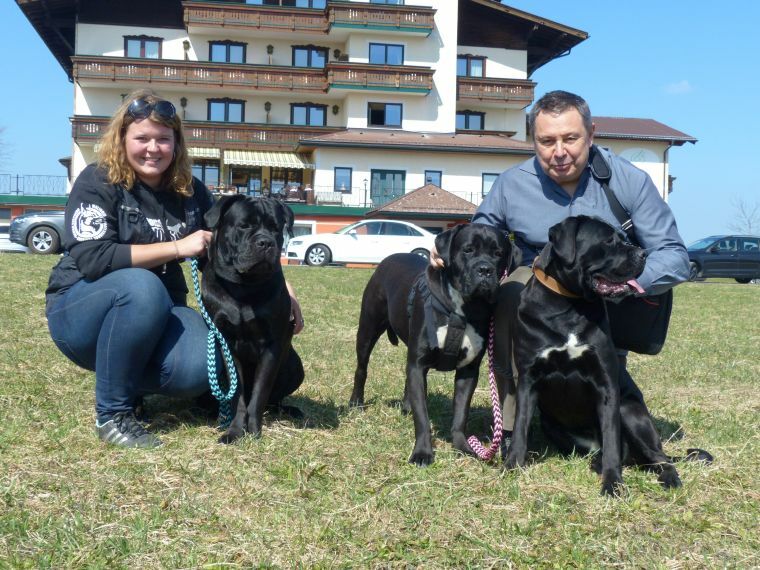 Aristocrat, Borgie and Brittany Korec Corso attended the International Dog Show in Austrian Salzburg on Sunday 31.3.2019, where Austrian judge Guenther Ehrenreich was delegated to judge the Cane Corso dog breed. Althought Aristocrat is the champion, he was shown in the Open Class, that he won with Excellent 1 and achieved CAC title. It is his fourth achieved CAC title in Austria. To get Austrian Champion title, he only needs to achieve one more CAC and to fulfill the requirement of 1 year gap between the first and the last CAC title. Borgie won the Intermediate Class with Excellent 1 and also achieved CAC title. It was her second CAC title from Austria, therefore she needs to achieve two more CAC to become the Austrian Champion. Brittany won the Open Class with Excellent 1 and achieved CAC title followed by achievement of the Res. CACIB title. Since it was a first International Dog Show, it is counted to be a great success. IDS Salzburg, 31.3.2019. From the right Brittany Korec Corso – Excellent 1, CAC, Res. 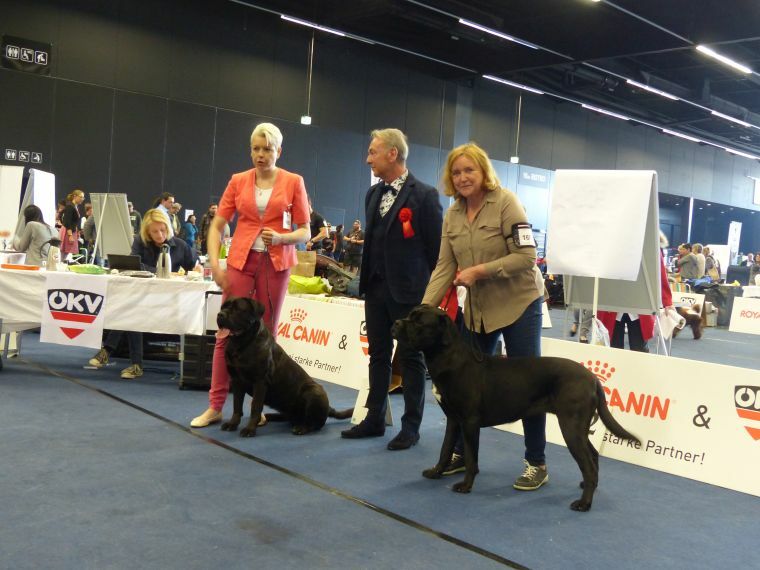 CACIB, Borgie Korec Corso – Excellent 1, CAC with Evžen Korec and Aristocrat Korec Corso – Excellent 1, CAC with Aneta Kostíková. IDS Salzburg 31.3.2019. From the right Brittany Korec Corso – Excellent 1 CAC, Res. CACIB with Jana Korcová, judge Guenther Ehrenreich (Austria).